Customizable store metrics built for data-driven decisions. Our real-time sales dashboard gives you the metrics you need to manage day-to-day business. Even better, our customizable retail data analytics tool delivers critical information for strategic decision making. Reporting tools built right into your POS software gives you strategic insight. Log on anytime, anywhere and get the data you need across all of your channels. QuickView sales dashboard empowers all team members to make tactical decisions. Slice and dice the data you gather any way you want. And save the POS reports easily. Gain a competitive advantage with data-driven insight. When you build custom fields throughout Springboard Retail POS and gather relevant data, you enable a powerful retail reporting engine to work for you. Harness that information, slice and dice it any way you want. 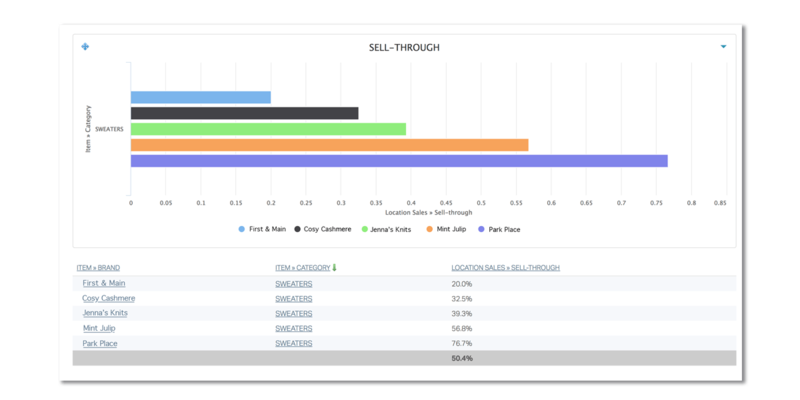 Our retail analytics software allows you to go below the surface and take a deep dive into your sales, customers, and inventory data to learn exactly what is selling and who is buying. "Being able to see instant results and quickly react, if needed, has allowed us to help our store teams focus their energy and efforts where it will payoff for them that day." Change the game and use data-driven insight to inform everything from buying to staffing to marketing. Springboard's business intelligence tools allow you to remain agile and proactive in the face of dynamic market conditions. See a complete list of our POS and retail management features. Every retail business is different, so Springboard POS allows you to collect the data that is meaningful to your store. 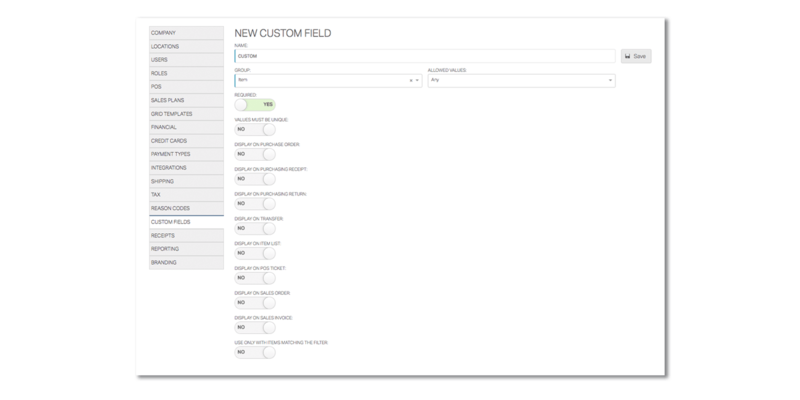 Add unlimited custom fields to item, vendor, customer, and payment records. Then combine that data in ways that give you deep insight into your business through a POS data analysis. Get that essential 10,000 foot view of your business wherever you are. 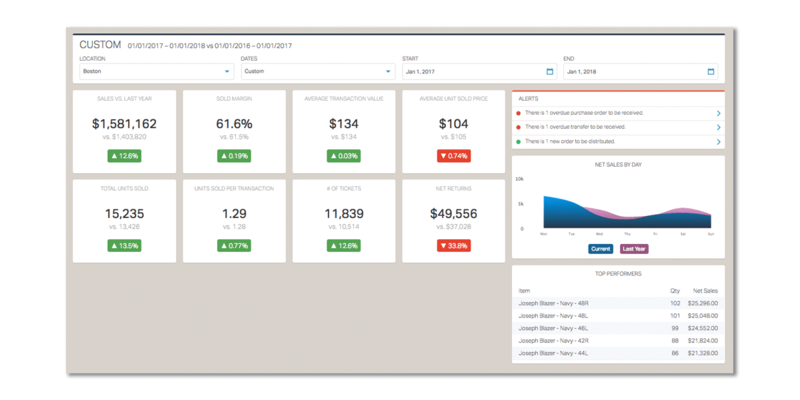 Our easy to consume sales dashboard alerts you when there are fillable orders to process, customer follow up calls to make, or a discrepant transfer to resolve. Help your team drive sales by giving them access to key performance metrics in real time, with comparisons to last year’s sales or this year’s plan. And tailor their permissions to their roles, location, and responsibility. Springboard’s flexible reporting tool allows you to create and customize the exact report you want to see. Run the same reports all the time? You can save any or every POS report in the system and bookmark them with your web browser. Filter reports by location, inventory, or customer attribute, and group them by important dimensions, like your customized inventory attributes, customer information, date, time, and much more.